Teramo is situated in the Tordino Valley, a hill-side location at the feet of the Gran Sasso and was founded by the Phoenicians with the name of "Petrut" (highland surrounded by the waters), translated into Latin by the Romans with the name "Praetutium". During the Roman Empire the city gained its highest level of splendour, evidenced by the construction of amphitheatres, thermal baths and theatres, traces of which are still visible today. In the Middle Ages the city was conquered by the Longobardi and became part of the Dukedom of Spoleto. In 1234 Federico II of Svevia divided the Reign of the Sicily into Giustizierati and Teramo was assigned to Sulmona. 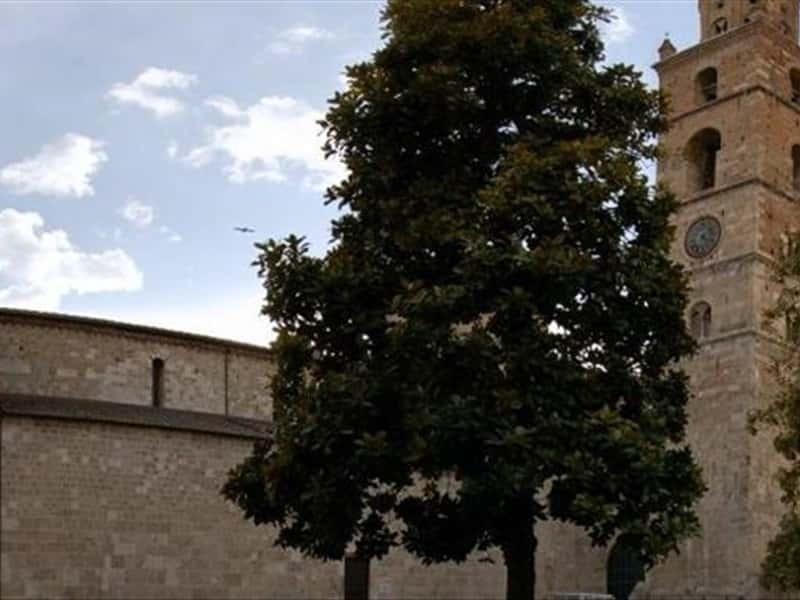 At the end of the XIV century the city feel under the dominion of the Lords of Acquaviva. It was later governed by Francesco Sforza, then by Alfonso D'Aragona. In 1798, Teramo feel under the Austrian dominion, then to the French and finally returned to Reign of Naples in 1815. The Castle Della Monica, an '800 fortress built on the ruins of a medieval construction and dominates, from the top of the hill of San Venanzio, over the city. It was edified under the supervision of the local artist Gennaro Della Monica who decorated the interiors with a personal selection of paintings, original sculptures, columns and capitals. The most important monument is the Cathedral, entitled to the Madonna Assunta and San Berardo, patron Saint of the city. Started in 1158, it is a three-nave church in Romanesque style. Modified in '300 and '400 and restyled over the years to feature the actual aspect. The façade features a portal of '300 of the artist Diodato Romano and a large rose window; at the back of the building arises a square-shape bell-tower. Inside the Cathedral, opposite to the main altar there is a silver altar piece which is a masterpiece of Nicola da Guardiagrele and a series of paintings that represent the life of Sant'Agostino of the Venetian artist Jacobello dal Fiore. The Vescovado is the seat of the offices of the Curia Aprutina and of the Bishop. Built in 1374, the building features a medieval castle battlement and fortification. In this district, worth of mention, the Casa Urbani, a splendid private building of the XI-XIII century, the Casa del Mutilato, built in occasion of the pestilence of 1348 and also known as the Church della Misericordia or della Presentazione, the Palazzo della Provincia, of the Borbonic period, the Palazzo Civico, of which only the equilateral pointed archways are original features of the antique building of '300 and the Convitto. This town web page has been visited 27,170 times.